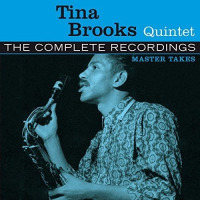 Tenor saxophonist Tina Brooks was one of the unsung geniuses of the horn, a brilliant soloist with a pure, smooth tone and a mind that created patterns of great intricacy, logic and beauty. Almost his entire output as a sideman and leader was for Blue Note. His obscurity was a tragedy for the music as well as for him. Harold Lloyd “Tina” Brooks and his twin brother Harry were born to David and Cornelia Brooks in Fayetteville, North Carolina, on June 7, 1932. They were the youngest of eight children. This close-knit family migrated en masse to the Bronx in New York City in 1944, when Harold was 12 years old. He was already being called Tina (pronounced Teena), a grade school nickname that came from his tiny or teensy size. Around this time, he started playing the C Melody saxophone. In addition to school instruction, he took private lessons with his older brother David Brooks Jr., whose nickname is Bubba. Tina moved from C Melody to alto and finally settled on the tenor as his instrument. In 1956, Brooks met trumpeter-composer Little Benny Harris at the Blue Morocco, a Bronx jazz club. 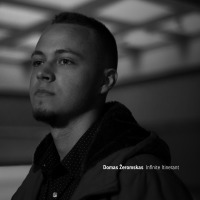 Harris took the young tenor under his wing and taught him the vocabulary and intricacies of modern jazz. 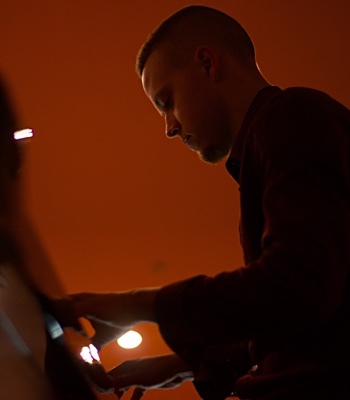 Tina also developed a close friendship with the brilliant pianist- composer Elmo Hope. 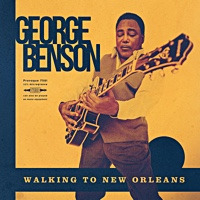 He was assimilating early influences (Lester Young, Dexter Gordon, Charlie Parker, Wardell Gray) and current models (Sonny Rollins, Hank Mobley) into a style of his own, which was rapidly taking shape. Alfred Lion remembers Benny Harris calling him up to a Harlem club to hear Tina in late 1957. 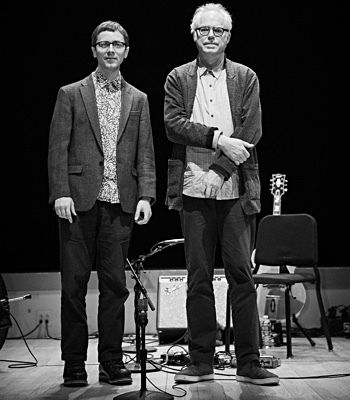 He immediately began recording Brooks on Blue Note at a regular pace. He first hired Tina for a marathon Jimmy Smith recording on February 25, 1958. The tenor saxophonist played on three lengthy sextet tunes. “The Sermon,” and “House Party,” two of Smith's most important and popular albums, each carried one of those tunes. 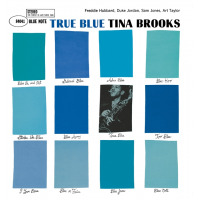 When Blue Note recorded the organist at Small's Paradise that April with special guests (a session that was not issued until 1980), Tina was present. On March 16, Lion gave Brooks his first recording date as a leader. 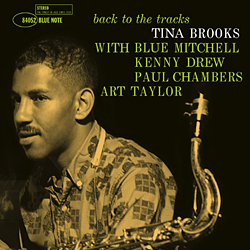 For whatever reasons, that excellent session sat in the vaults until 1980 when it was issued briefly in Japan as “Minor Move.” In May of '58, Tina and Junior Cook were the tenor players on Kenny Burrell's all-star “Blue Lights” session. Then, fifteen months passed before Brooks recorded again on a specially planned Blue Note live recording led by Burrell at the Five Spot. Through his association with Blue Note, Tina met another great and underrated tenorman: Ike Quebec. Freddie's session took place on June 19, 1960. And Tina did play beautifully. 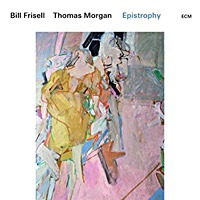 He also wrote Open Sesame and Gypsy Blue and arranged But Beautiful. Exactly one week later, Tina made his second album “True Blue,” and Freddie Hubbard was the trumpeter. Both albums were released that fall. During 1959 and '60, Tina was the understudy for Jackie McLean in Jack Gelber's play “The Connection,” which was presented by The Living Theater. The pianist, composer, and musical director was Freddie Redd. This association led to three more Blue Note dates. Both McLean and Brooks were on two Redd sessions. Under McLean's leadership, Tina played on and wrote three of the six tunes (Medina, Isle Of Java and Street Singer) for a wonderful sextet date. For McLean's next album, “Jackie's Bag,” Blue Note decided to pick the best of this and an earlier recording date, so only half of the sextet pieces were issued. The complete session was finally issued in Japan in 1979. Seven weeks later, Tina went into the studio with the same sidemen that appeared on the McLean sextet date to make his third Blue Note album. 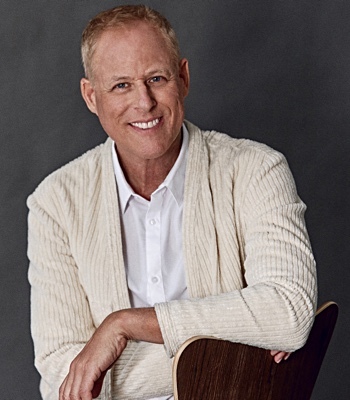 Since one tune, David The King, never made it to releasable quality, an album was assembled from the session which borrowed Street Singer from Jackie's date. 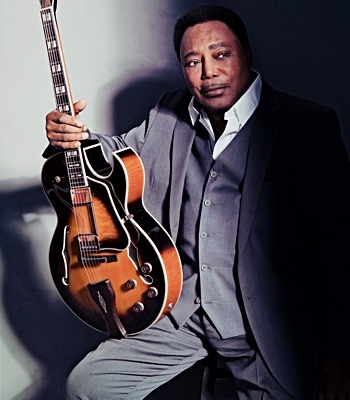 The album was titled “Back To The Tracks” and given the catalog number 4052. 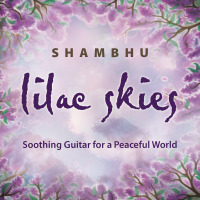 It's cover appeared on inner sleves, and it was listed in Blue Note catalogs for a time. Yet the album was never issued. This is one of about a dozen such instances in Blue Note's history. 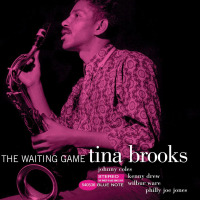 Yet a fourth Tina Brooks album was recorded in 1961. It was edited and sequenced for release. It too was not issued. Tina Brooks was a magnificent talent who was among us all too briefly. He was a unique, sensitive improviser who could weave beautiful and complex tapestries through his horn. His lyricism, unity of ideas and inner logic were astounding. Far lesser talents have been far more celebrated. Tribute bio by Michael Cuscuna. All About Jazz musician pages are maintained by musicians, publicists and trusted members like you. Interested? 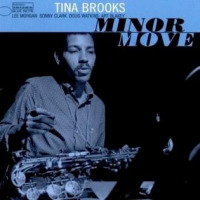 Tell us why you would like to improve the Tina Brooks musician page.